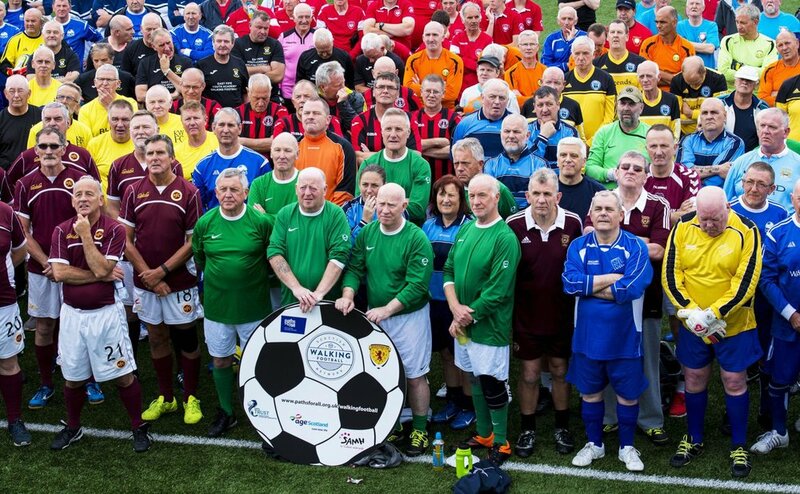 Walking Football Scotland is a charity promoting the slowed down version of the beautiful game. Walking football is exactly what it sounds like – a standard game of football where players walk instead of run. It is fun, friendly and can help you feel fitter and healthier. Joining in a physical activity with a group of people your age can be a breath of fresh air, make you laugh and give you a good time. It’s a great way to get out more, meet new people and feel better. We are a charity set up to improve, maintain and promote the physical, mental and social wellbeing of older adults through Walking Football. Find out about our support for Walking Football groups in Scotland.